Durham academic Matthew Hedges, who was last week jailed for life in the United Arab Emirates on a spying charge, has been pardoned, an official in the UAE said. It is being reported that the presidential pardon is part of the country's national day. Jeremy Hunt is leading efforts to apply diplomatic pressure on the UAE to release PhD student Matthew Hedges. The Government is facing calls to take immediate action against the UAE after a Durham student accused of spying was jailed for life. An internet troll has been jailed after targeting memorial Facebook pages, including that of Durham University student Olivia Burt. Durham PhD student Matthew Hedges, who was being held in the United Arab Emirates accused of spying, has been released on bail. 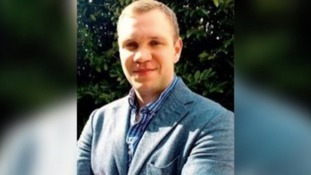 Matthew Hedges, a PhD student at Durham University, was held at Dubai airport after flying in to interview sources about the security. A week after the death of a Durham University student, a website has been activated for witnesses to upload mobile phone footage. The parents of a student who died outside a Durham club are “totally devastated and heartbroken” by the loss of their “beautiful daughter”. Police are investigating the death of a Durham University student. The 20-year-old female died near the Missoula nightclub in Durham. A social event set up by a Durham University rugby team has caused outrage with its miners theme.